In the area where I live in Central Haiti, fresh organic spinach is available year-round. 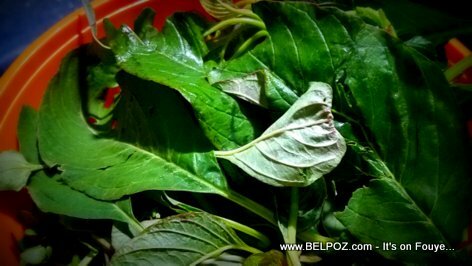 We spoke to a local in the area and she told us this fresh spinach that reaches the marketplace in Hinche everyday is produces near the lakes of Pandiassou. Thanks to the rain water captured in these man made lakes that farmers continue to cultivate in the dry season. They mainly produce vegetables like peppers, onions, tomatoes, spinach, cabbages, and more.